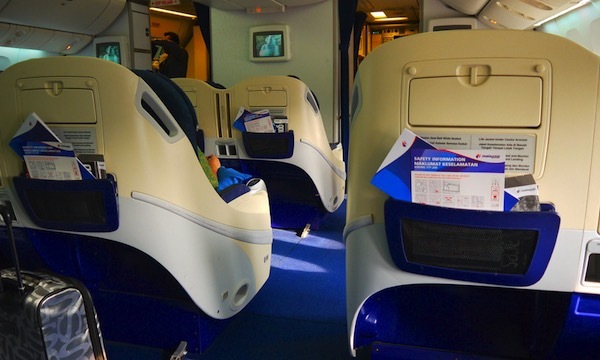 You’ll find Malaysia Airlines’ relatively modern A330 Business Class on flights between Auckland and Kuala Lumpur. This particular flight was the continuation of a trip from London to Sydney. 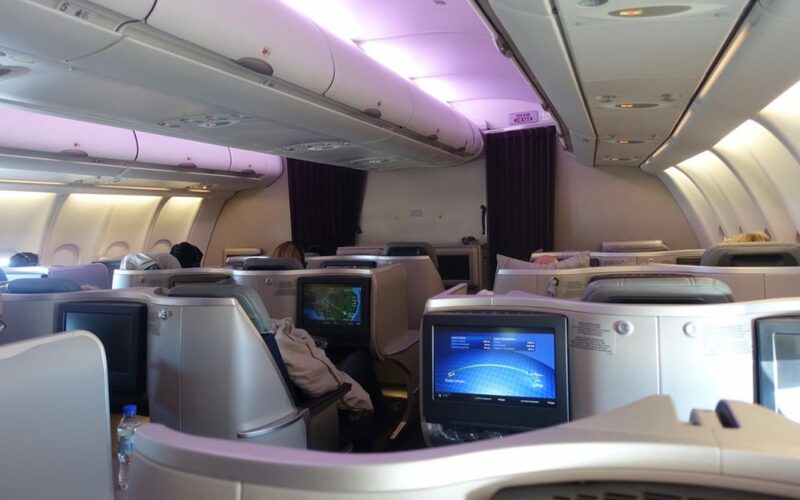 Award availability using points – such as Qantas Points or Asia Miles – is usually decent, so Malaysia Airlines can offer a decent alternative to Qantas and Emirates when redeeming points for travel to Asia or the UK. 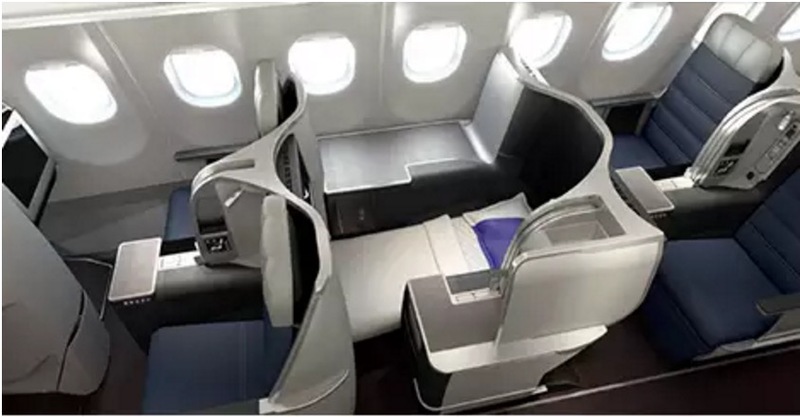 Malaysia Airlines fly to Kuala Lumpur from Auckland, Sydney, Melbourne, Perth and Adelaide, all on two-cabin Airbus A330s with lie-flat Business Class seats, although the Perth flight switched to a Boeing 737 with recliner seats from October 2017. Their A350 and A380 also make sporadic appearances on some routes at different times of year, which is likely to increase as they receive more A350s in their fleet too. 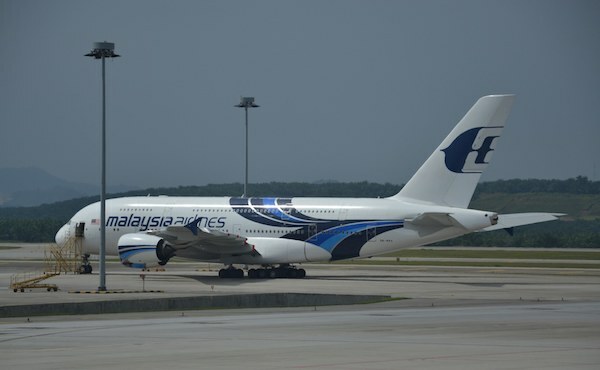 You’ll have to check your planned flight to see which Malaysia Airlines plane you’ll receive for your trip. 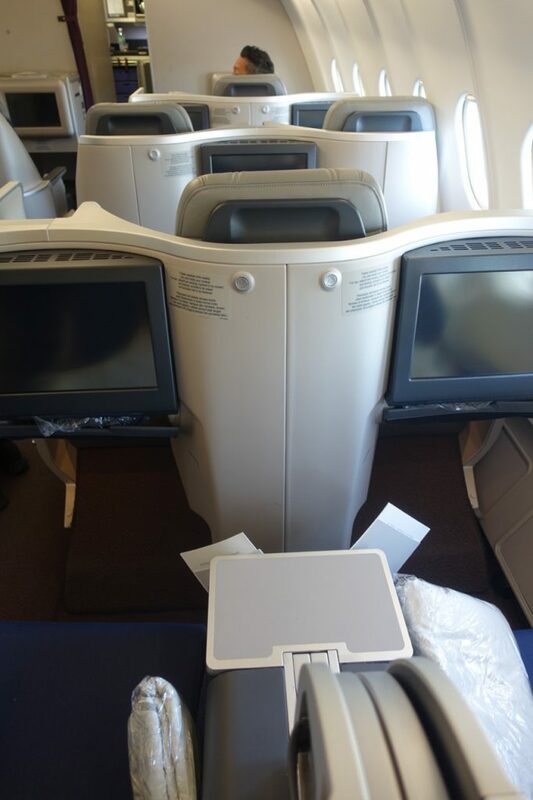 Malaysia Airlines Business Class on the A330 is in a staggered layout, with a handful of solo throne seats alternating backwards with pairs of seats on either side of a central aisle of pairs. 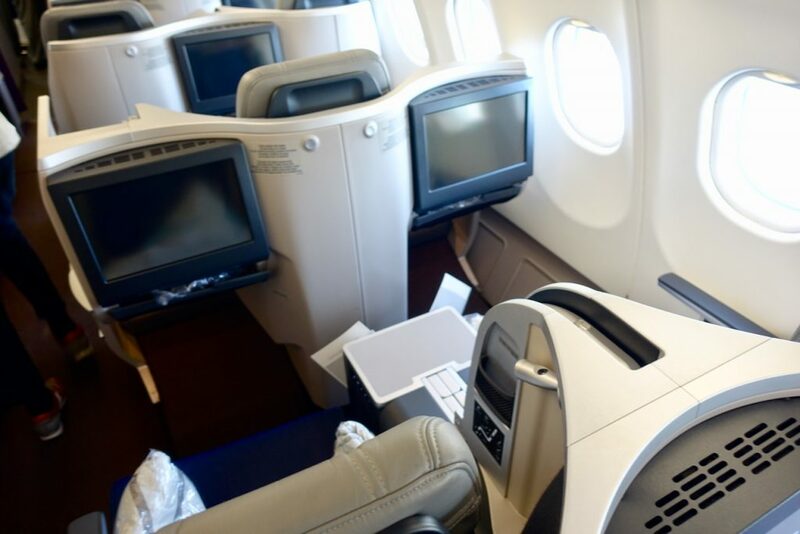 Finding the right seat for your particular travel situation is going to go a long way towards an enjoyable flight, with the single throne seats obviously in demand from solo travellers, and the pairs more suitable for those with companions. The throne seats do have a slightly more cramped footwell due to the surrounding two seats in front. 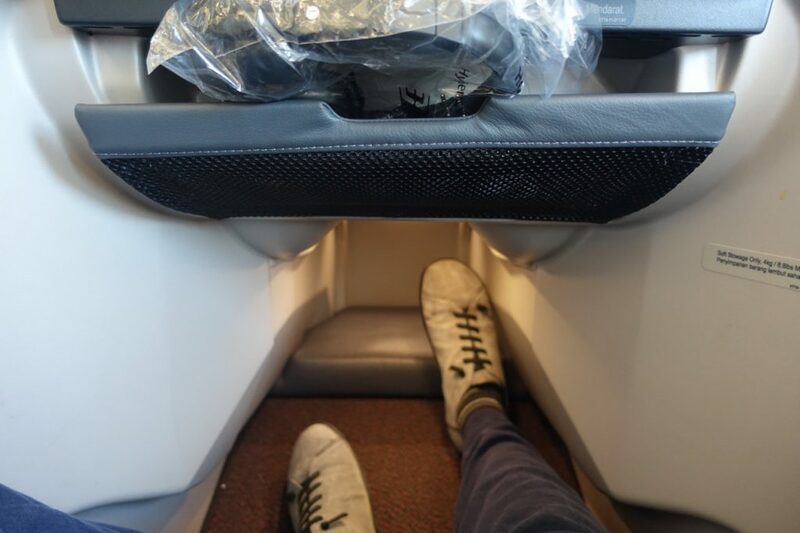 For the long-legged with a long redeye flight this may be a reason to avoid them. There’s the usual range of seat controls to get you comfortable, a few different storage options, and the seat is also dressed with a cover and mattress pad to make it more comfortable. 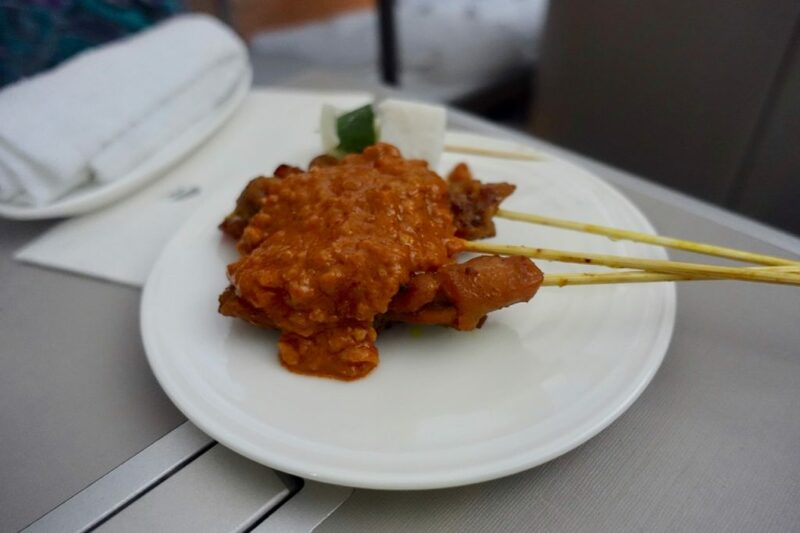 I’ve found the food on offer on Malaysia Airlines flights to be consistently good, especially the authentic Malaysian options – and yes, that includes the mid-flight inevitable binge on Satay. 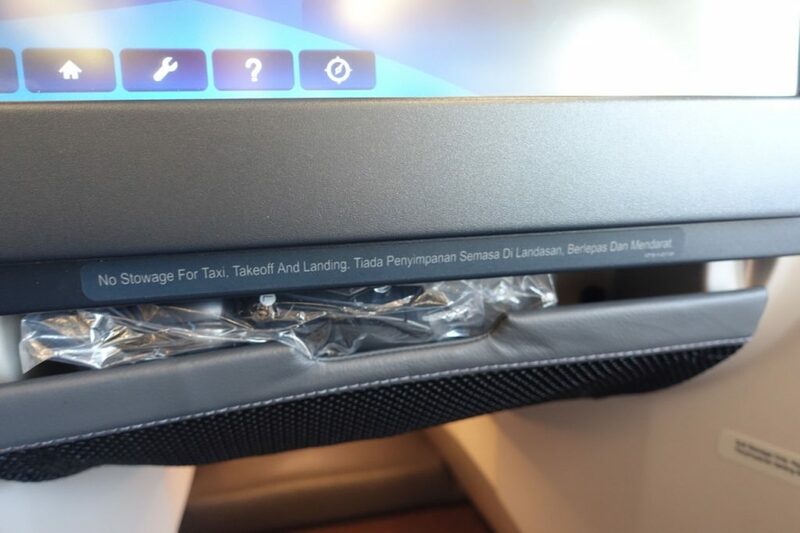 Malaysia Airlines IFE system was lacking somewhat in choice, at least to my taste, but entertained me adequately for the flight from KL to Sydney. There’s room for improvement here. 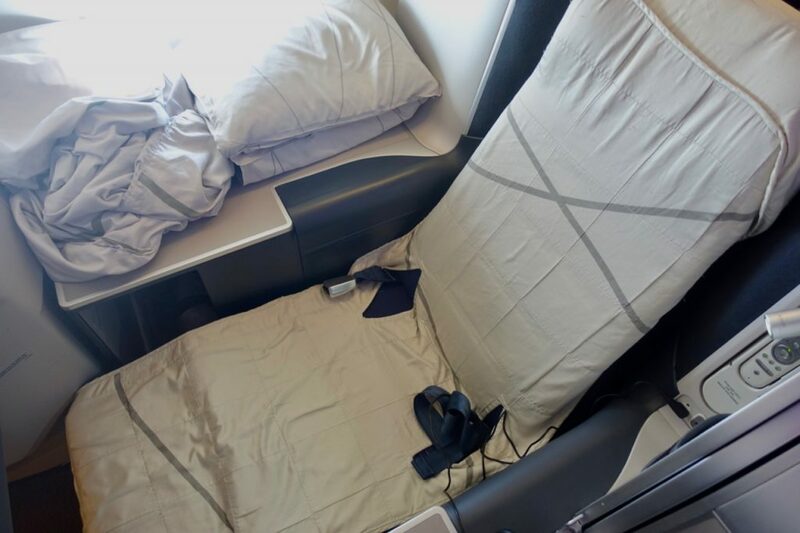 AAdvantage and Asia Miles offer the cheapest redemption rates, whilst Qantas Frequent Flyer and British Airways Avios are significantly more expensive. Malaysia Airlines’ own Enrich program has turned revenue-based as of June 2017, wiping out its good value. Malaysia Airlines award inventory is now available on the Qantas website (effective September 2017), but you can also search for award space through British Airways like before. 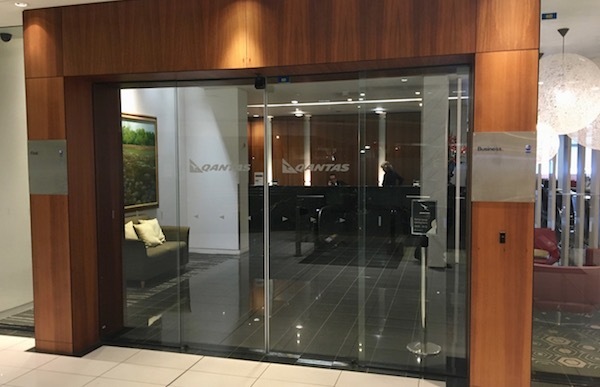 Business Class passengers of Malaysia Airlines have access to oneworld partner lounges such as the Qantas Auckland International Business Lounge. 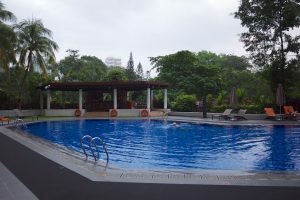 Malaysia Airlines is a good option for travellers from New Zealand. 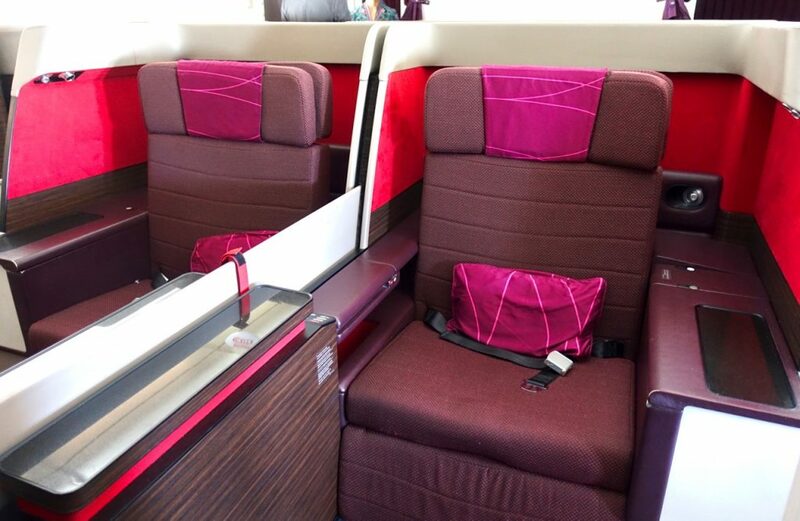 It’s certainly not an aircraft to avoid, with full lie-flat seating with a good enough amount of space for the hop up to Kuala Lumpur. 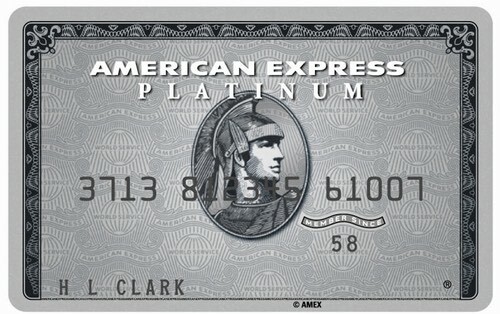 When it comes to redeeming points, it’s a useful option to know about. You’ll also find some aggressive sale fares crop up every so often as Malaysia try to boost their market share in the region. That said, seat choice is important, as I outlined above. 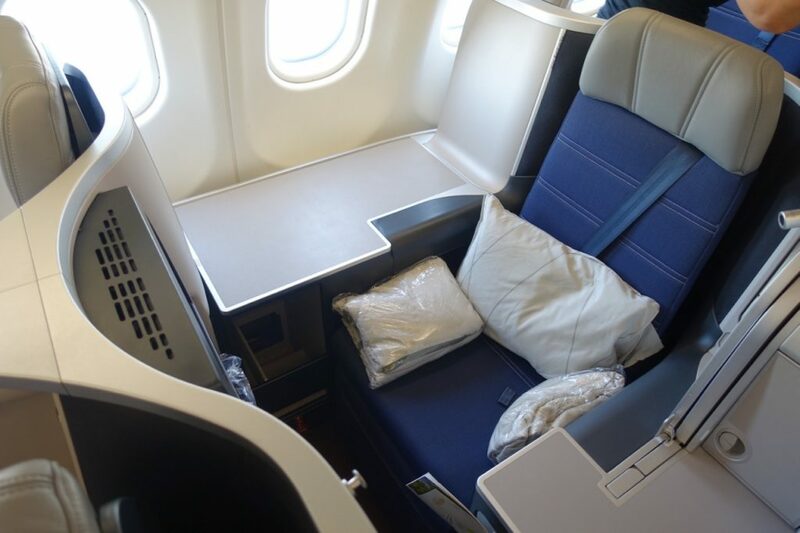 If you don’t find the right seat(s) for your travel party it will make for a noticeably less comfortable journey. This is MH A330-300. 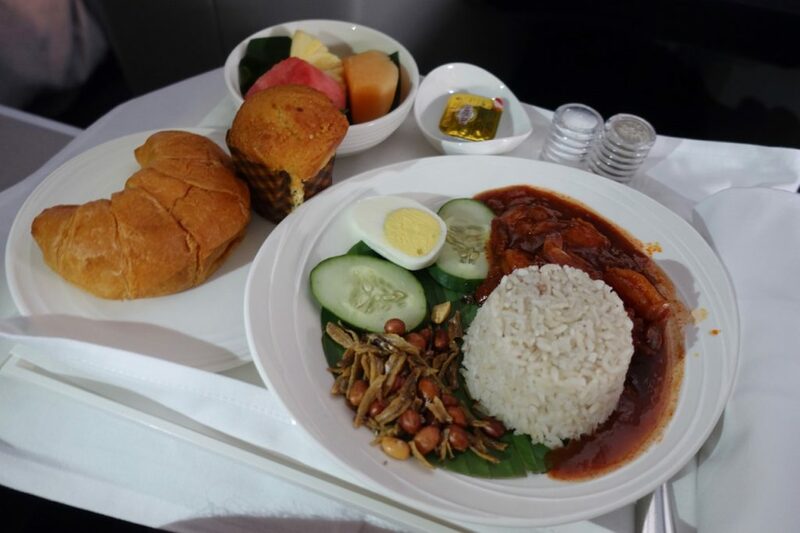 Some routes like AKL – KUL now use old Air Berlin A330-200 and the business class is not as good. 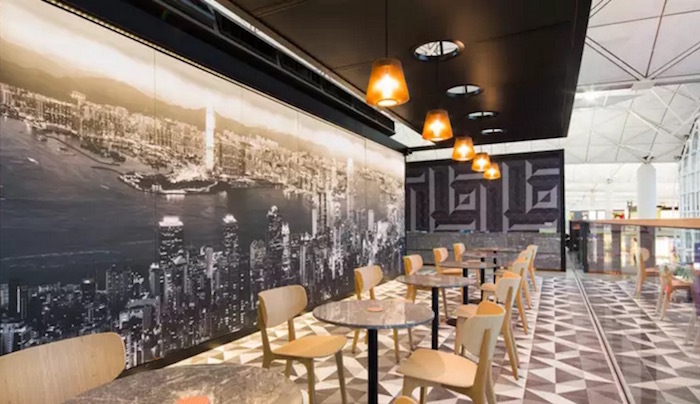 KL – Melbourne March 2019. Two small gripes. All passengers board through the front door which is a pain if you’ve already settled into your biz class seat. 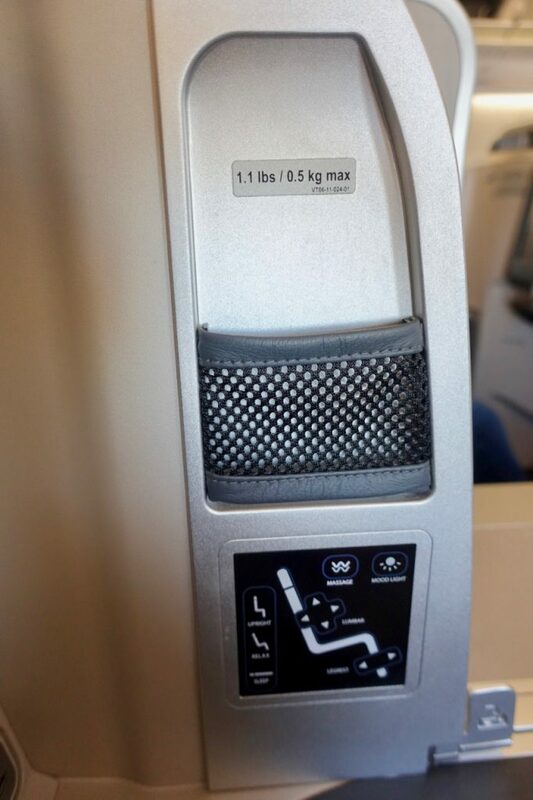 Secondly (and more problematic) there are no biz class toilets up front. The only ones available are between biz and economy with one door having a sign saying Business Class Toilet. But I dont think any economy passengers took any notice of this. Net result was that there was always a queue for the bathroom – which I feel is unacceptable for full biz class product.